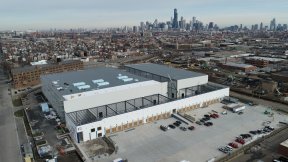 Clarius Partners and Preferred Freezer Services held a ribbon-cutting ceremony on a state-of-the-art refrigeration facility on Chicago’s Lower West Side. The $45 million new facility will employ 52 people and benefit food industry businesses throughout Chicago. Developed by Clarius Partners, the 227,043-square-foot facility at 2357 S. Wood St. will be leased by Preferred Freezer Services, who will employ about 52 people at the location when it opens Tuesday. That includes about 40 new employees plus approximately a dozen workers relocated from additional locations in the city. Approximately 300 jobs were created during construction. “This facility represents a major job-creating investment in the Pilsen neighborhood,” Ald. Danny Solis said. “It also is an example of how we are building a brighter future for this neighborhood and the entire city of Chicago.” The investment was made possible by the city’s commitment to provide a class 6(b) property tax incentive for the project, which will be introduced to the City Council next month. This will allow for a tax savings of approximately $3 million over 12 years. 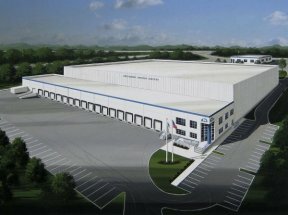 “We look forward to providing our customers the capacity they need to store their frozen goods in a state-of-the-art warehouse with the very latest in engineering, refrigeration, LED lighting, warehouse management systems and nationwide logistics services,” Daniel DiDonato, Executive VP of Sales at the Chatham, N.J.-based Preferred Freezer Services said.